To start a great new year we have rolled out a brand new product which nicely integrates with the Pidoco Prototype Creator: the Remote Usability Tester. Take one of your prototypes and do a Usability Test with zero set up time. You start a test session by simply inviting anybody via an eMail just as you would do for letting them view or discuss your prototype. There is nothing more to do for technically preparing a test session. You meet your test participant online within pidoco and can watch exactly what he or she is doing with your prototype. Via either a typical phone or our integrated Flash phone you can talk to each other to apply proven Usability Methods like “Think Aloud Testing”, but this time online from wherever you are. During the whole test session, everything is recorded automatically for playback. Take your time and replay the session as many times as you need to analyze what your test participant did and said. Using the Prototype Creator and the Remote Usability Tester at the same time, you can test small modifications to your prototype with a test participant watching you. This gives you the unique possibility to apply Usability Methods like “A/B Tests” or “Wizard of Oz Testing”. Prototyping and Usability Testing can go hand in hand for the very first time! Read what others say about our Remote Usability Tester. 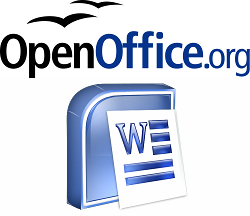 This not being enough, we also added a long requested export to Microsoft Word or OpenOffice.org. With just one click you can add text notes to every element to specify and describe your prototype in great detail. All these notes are rendered into one document together with images of the Use Cases, Pages, and Layers of the prototype. All your discussions will be added to the document as well in order to keep track how design decisions evolved over time. Every single piece that is not visible on the pages is described in more detail, like link targets or menu structures. Special Highlight Images show the building blocks of your prototype. You can download a sample document of our homepage prototype. Take the exported document as is or use it as a resource to write your very own specification document. We know it is a quite difficult task to create a document that satisfies everybody’s requirements. With this style of document we hope to support all of our users in the best possible way. However, please don’t hesitate to approach us with recommendations and ideas of how we can improve the word export. Starting today, the word export is included for free to all our users. In case you don’t have an account yet, register for a free test account now. If you want to do remote usability testing a much better tool is Loop11. This is a full service online testing tool. Worth checking out.